Road Runner Girl: Rock 'n' Roll New Orleans 2013 EXPO! This weekend got a little messed up. My best friend Paige (the one I always run races with) was supposed to run Rock 'n' Roll New Orleans with me. We didn't have a lot of ladies doing this race this year (due to Seaside Half being next weekend) so Paige and I were so excited to do this one together just the two of us. We always have so much fun when we travel and race together! We had the weekend all planned. 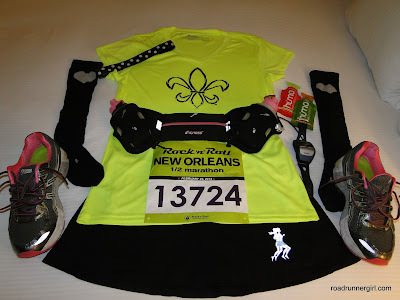 She is a single mom and had childcare taken care of...her mom (who doesn't live far from Nola) was going to watch her kids while she ran. We were going to stay at her mom's house the night before (yay..free lodging) and then drive into Nola for the race that morning. Well...early last week her mom called and told her that her stepdaughter had the stomach bug. :-( Then the next day her mom came down with the flu! :-( We tried to find alternate childcare but it just didn't work out. So Paige relented to the fact that she wasn't going to be able to run. 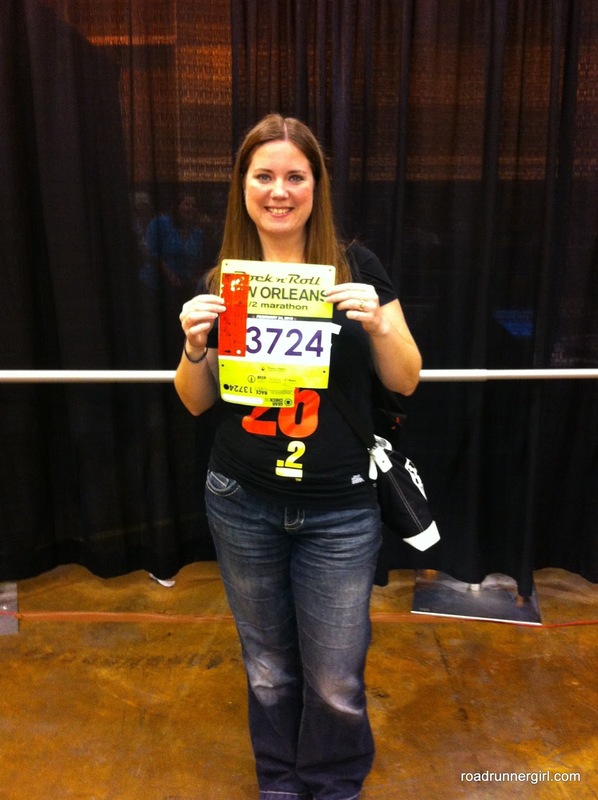 And that meant I would be running primarily by myself...challenging for a girl who always runs with friends. 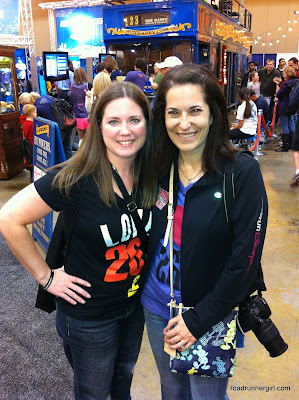 Luckily, I had another friend, Jackie, who was running the full and said I could stay with her. So I now had lodging (although it wasn't free anymore) but no running partner. Then I had to figure out my ride home after the race. 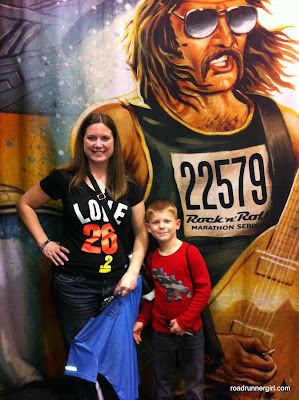 Paige decided to go ahead and go to the expo (with her cute boys in tow) so she could at least get her race shirt and do some shopping. So I was able to ride to New Orleans with her. And I was so glad to have that time with her! But she wouldn't be there for the race so I needed a ride. Jackie rode with a couple from our church, Kimberly and Jeffrey, who were also running the full. Kimberly and Jackie had trained together so they were running the race together. I asked if I could ride home with them and they said I could as long as I didn't mind waiting for them to finish the full marathon. Of course I didn't mind! So...although the original plans got messed up I was still able to work out the weekend....and get to race! 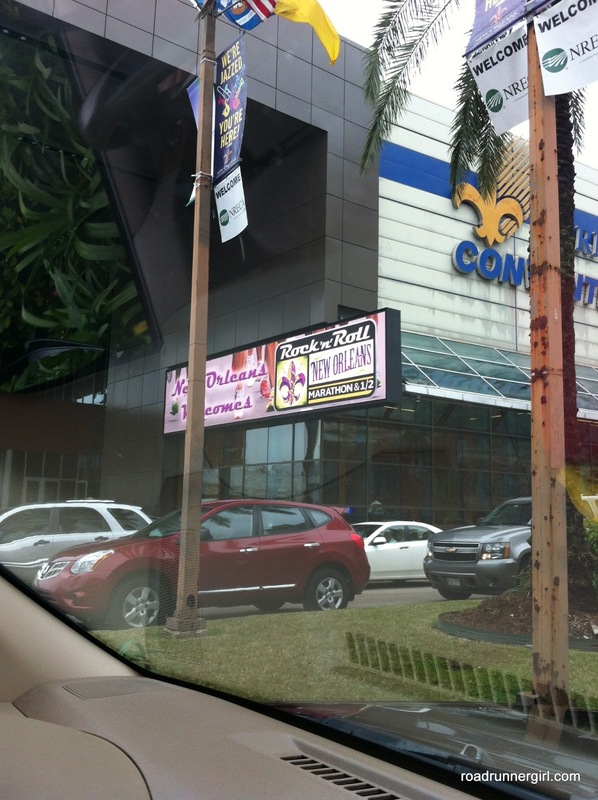 Finally we made it to New Orleans...and after getting stuck in some traffic...we made it to the Convention Center where the expo was being held. After finding a place to park (parking is crazy and expensive in New Orleans) we were able to go inside. The convention center is huge so we had to weed our way through a cheerleading competition to find the expo. But we finally made it! Rock 'n' Roll races have their expos organized really well. 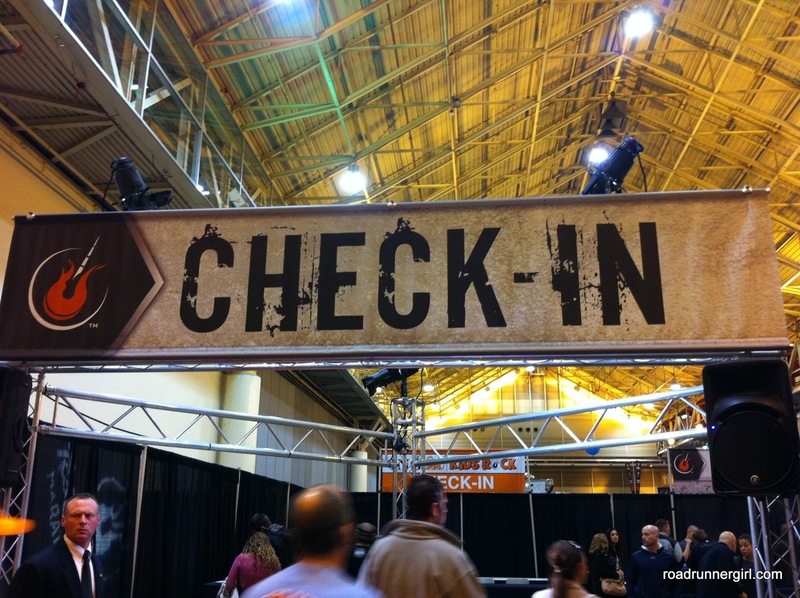 You walk in and immediately go to Check-In where you receive your bib. Then you head to Tees/Swag where you get your....tees and swag lol! Rock 'n' Roll always gives you a tech shirt (and I love that they have women's cut shirts) and a cinch bag to hold all your stuff (as well as use for your gear check bag). After you get all your race stuff....the fun begins! My favorite part...shopping the actual race merchandise! I always like to buy a shirt or two that has the race on it. 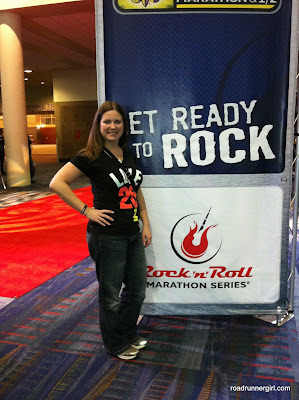 And since Brooks is a sponsor of Rock 'n' Roll races they always have tons of their stuff there too! You can win prizes from Brooks...I won a red t-shirt! I also got a magnet this year that looks just like the medal! I love magnets and try to get one every place I go. 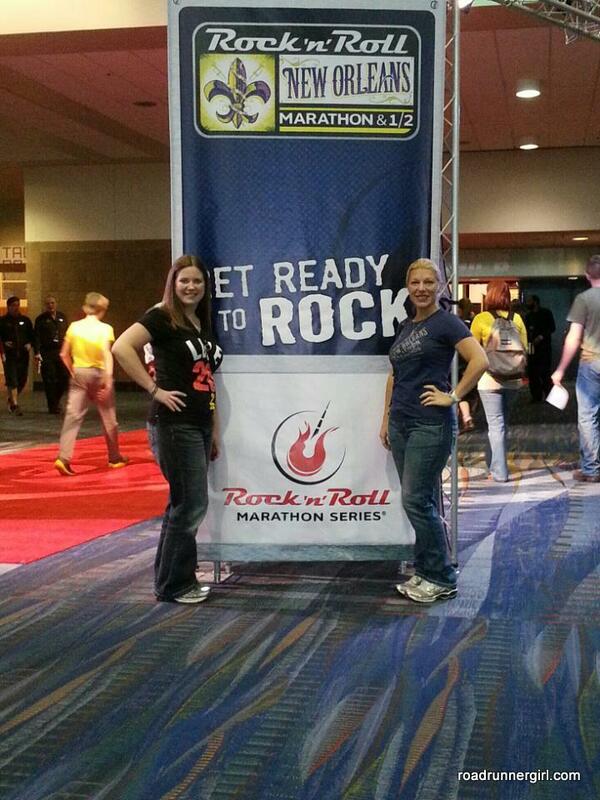 After browsing a little while longer Paige and I got in line to buy our race merchandise. 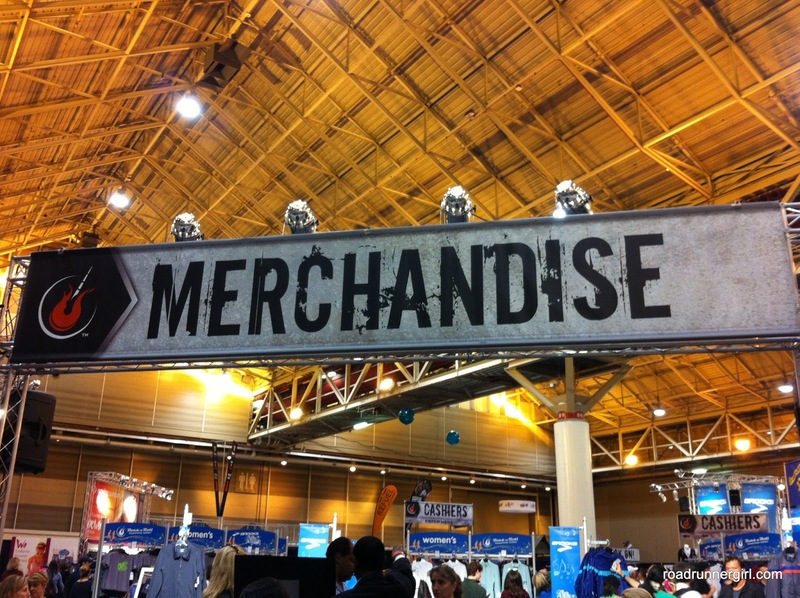 Just like Disney expos you have to buy the race merchandise first...then you get to enter the rest of the expo. While standing in line Paige offered to take a picture (she knows how I love my pictures) and her sweet son Braxton ran in! I didn't mind...he's a cutie! We finally entered the exhibitor part of the expo where we sampled fuels and drinks and got freebies! I was so excited to see Zipfizz at the expo! They told me if I would tweet with the #zipfizz hashtag that they would give me a limited edition of their Creamsicle Zipfizz! Well of course I took advantage of that!!! I can't wait to try this flavor! 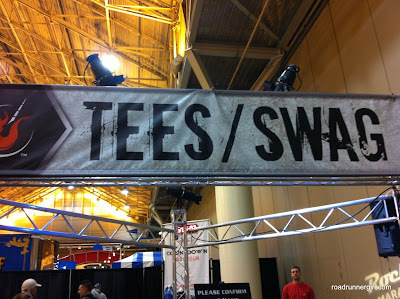 I also had to make a stop by the Sweaty Bands booth and the Team 413 booth...where I bought another shirt! I love Team 413! 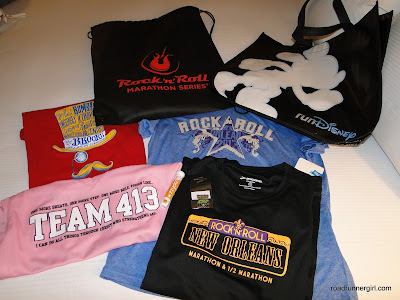 And of course I stopped at the runDisney booth....and they gave me a free bag!!! And then I stopped by the Gulf Coast Half Marathon series booth and talked to the race director Mike. 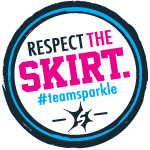 He is also the race director for the Woman's Half that I ran and was a Run Pink Ambassador for in December. Of course while I was there I went ahead and signed up for the Gulf Coast Half on Pensacola Beach and in Mandeville this year. These are two races that were on my schedule but I had yet to sign up for. I love this race series! I got some pretty awesome swag at the expo!!! After we were shopped out Paige and the boys and I headed back to the car. This is where my time with Paige ended. She dropped me off at the hotel and I met up with Paige, Kimberly, and Jeffrey. We headed out for dinner. 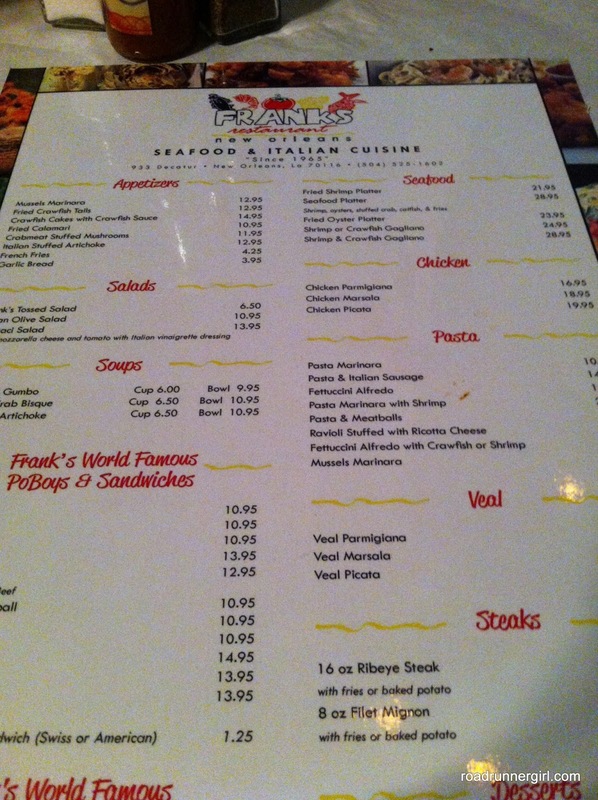 We ate at an Italian restaurant called Frank's Restaurant New Orleans. Check out the awesome menu! 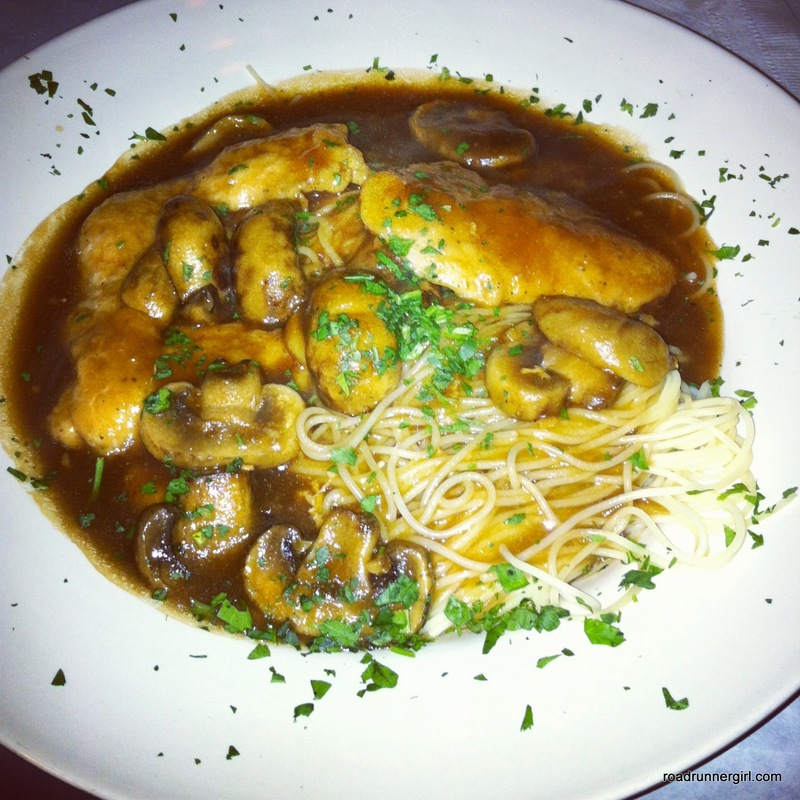 I ordered the Chicken Marsala...which is one of my favorite Italian dishes! I was not disappointed! It was amazing!!!! Yeah I know...no pizza this time lol! After dinner we walked back to our hotel...but since we were in New Orleans we saw some interesting things! 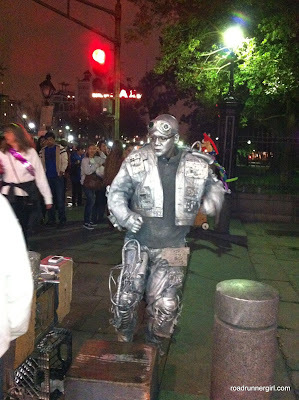 Like this man that was painted all silver and attempting to dance! LOL! We made it back to the hotel safely and got all our things ready for the race! It was time for lights out! And I was ready for half marathon #14! Stay tuned for the race recap tomorrow! 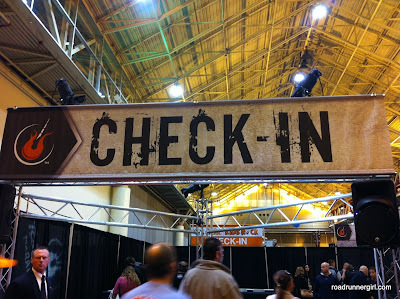 QOTD: What is your favorite part of a race expo?